Each semester I greet the students who file into my preaching class at Howard University with a standard talk. The talk is not an overview of the basics – techniques of sermon preparation or sermon delivery, as one might expect. Outlining the basics is not particularly difficult. African-American women comprise more than 70 percent of the active membership of generally any African-American congregation one might attend today. According to one Pew study, African-American women are among the most religiously committed of the Protestant demographic – eight in 10 say that religion is important to them. Yet, America’s Christian pulpits, especially African-American pulpits, remain male-dominated spaces. Still today, eyebrows raise, churches split, pews empty and recommendation letters get lost at a woman’s mention that God has called her to preach. The fact is that African-American women have preached, formed congregations and confronted many racial injustices since the slavery era. The earliest black female preacher was a Methodist woman simply known as Elizabeth. She held her first prayer meeting in Baltimore in 1808 and preached for about 50 years before retiring to Philadelphia to live among the Quakers. 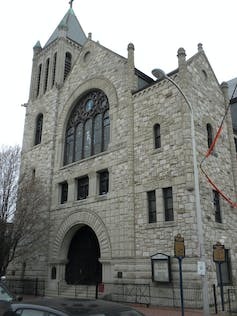 First African-American church, founded by Rev. Richard Allen. An unbroken legacy of African-American women preachers persisted even long after Elizabeth. Reverend Jarena Lee became the first African-American woman to preach at the African Methodist Episcopal (AME) Church. She had started even before the church was officially formed in the city of Philadelphia in 1816. But, she faced considerable opposition. AME Bishop Richard Allen, who founded the AME Church, had initially refused Lee’s request to preach. It was only upon hearing her speak, presumably, from the floor, during a worship service, that he permitted her to give a sermon. “rose up in the assembly, and related that [she] had called upon him eight years before, asking to be permitted to preach, and that he had put [her] off; but that he now as much believed that [she] was called to that work, as any of the preachers present. 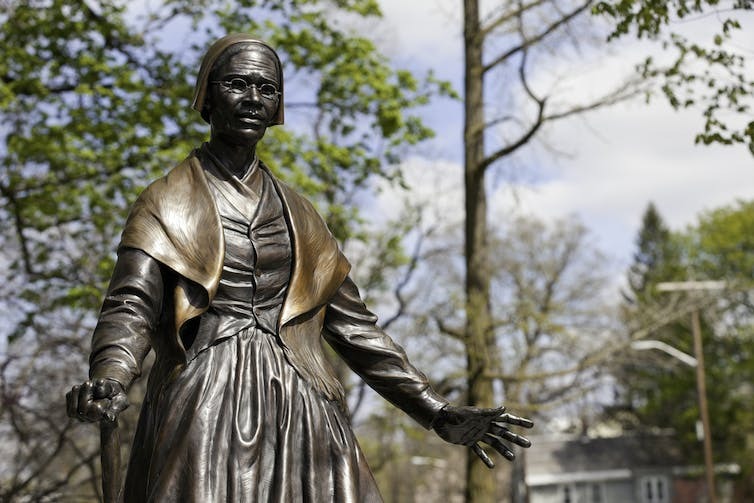 Lee was much like her Colonial-era contemporary, the famed women’s rights activist Sojourner Truth. 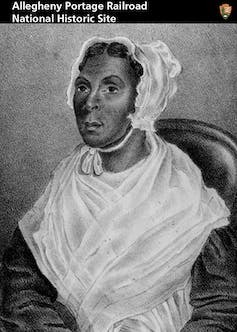 Truth had escaped John Dumont’s slave plantation in 1828 and landed in New York City, where she became an itinerant preacher active in the abolition and woman’s suffrage movements. For centuries now, the Holy Bible has been used to suppress women’s voices. These early female black preachers reinterpreted the Bible to liberate women. Truth, for example, is most remembered for her captivating topical sermon “Ar’nt I A Woman?,” delivered at the Woman’s Rights National Convention on May 29, 1851 in Akron, Ohio. Like Truth, Jarena Lee spoke truth to power and paved the way for other mid- to late 19th-century black female preachers to achieve validation as pulpit leaders, although neither she nor Truth received official clerical appointments. The first woman to achieve this validation was Julia A. J. Foote. In 1884, she became the first woman ordained a deacon in the African Methodist Episcopal Zion AMEZ Church. Shortly after followed the ordinations of AME evangelist Harriet A. Baker, who in 1889 was perhaps the first black woman to receive a pastoral appointment. Mary J. Small became the first woman to achieve “elder ordination” status, which permitted her to preach, teach and administer the sacraments and Holy Communion. Historian Bettye Collier-Thomas maintains that the goal for most black women seeking ordination in the late 19th and early 20th centuries was simply a matter of gender inclusion, not necessarily pursuing the need to transform the patriarchal church. An important voice was that of Rev. Florence Spearing Randolph. In her role as reformer, suffragist, evangelist and pastor, she daringly advanced the cause of freedom and justice within the churches she served and even beyond during the period of the Great Migration of 20th century. In my recent book, “A Pursued Justice: Black Preaching from the Great Migration to Civil Rights,” I trace the clerical legacy of Rev. Randolph and describe how her prophetic sermons spoke to the spiritual, social and industrial conditions of her African-American listeners before and during the largest internal migration in the United States. In her sermons she brought criticism to the broken promises of American democracy, the deceptive ideology of black inferiority and other chronic injustices. Randolph’s sermon “If I Were White,” preached on Race Relations Sunday, Feb. 1, 1941, reminded her listeners of their self-worth. It emphasized that America’s whites who claim to be defending democracy in wartime have an obligation to all American citizens. Randolph spoke in concrete language. She argued that the refusal of whites to act justly toward blacks, domestically and abroad, embraced sin rather than Christ. That, she said, revealed a realistic picture of America’s race problem. She also spoke about gender discrimination. Randolph’s carefully crafted sermon in 1909 “Antipathy to Women Preachers,” for example, highlights several heroic women in the Bible. From her interpretation of their scriptural legacy, she argued that gender discrimination in Christian pulpits illustrated a misreading of scripture. Today, several respected African-American women preachers and teachers of preachers proudly stand on Lee’s, Small’s and Randolph’s shoulders raising their prophetic voices.